A women’s course best by Jenny James was the standout performance after a big field of nearly 140 runners lined up for the second race of the Chertsey House road series in near-perfect conditions. (images Phil Nicolle). At the front of the field, Carl Holden reeled in early leader James Priest with a mile and a half remaining to post one of his best road performances to date. Priest led from the L’Ancresse start and had built what looked like a winning lead as he passed the Vale Castle two mile mark but Holden, a half marathon team medallist from the 2017 Gotland Island Games, kept in touch and ran forcefully from the Bridge halfway mark to catch and pass the long-time leader towards the end of Bulwer Avenue. He crossed the North Beach finish line in 27 minutes on the dot after extending his lead to nearly 100m. Chris Gillman continued his good form to claim third in 28 minutes 4 seconds and middle-distance specialist Sam Lesley was a solid 4th. Battling her way into the top ten with a strong finish for 8th, Jenny James stopped the clock in 29 minutes 34 seconds – the first Guernsey woman to go below the 30 minute barrier for the course. 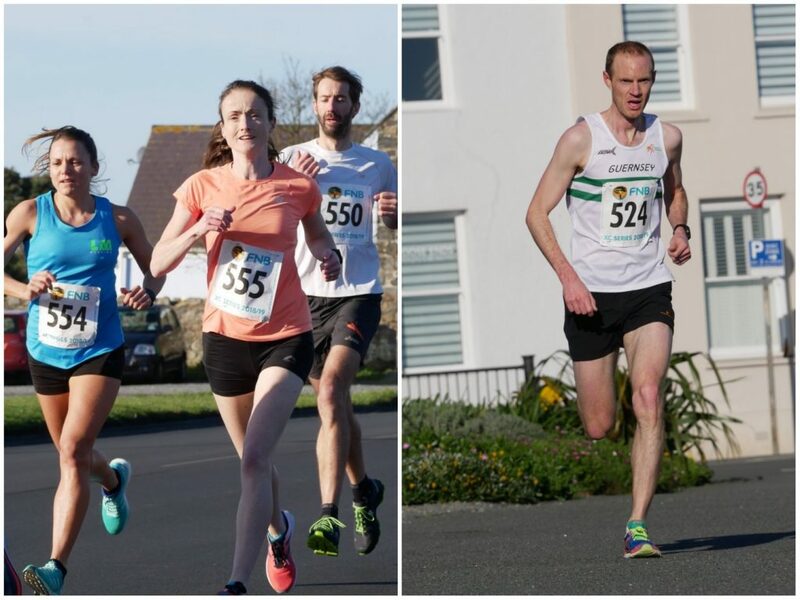 Although both Sarah Mercier and Louise Perrio have run faster equivalents over the Liberation Day 7 mile version of the route, James continues to edge her best times down and now finds herself in elite company. Training partner Laura Mccarthy was 17th in 30 minutes 41 seconds and also ran a significant personal best to cross the line as second woman and also looks to be on the right trajectory for a good Island Games. Emily Bookless will be going to Gibraltar as part of the triathlon squad but put in another good run performance here by dipping just below 33 minutes for 28th overall. In age graded terms Julie Lawlor was a clear winner with her highest scoring performance to date of 96.94%. Only a few months away from her 75th birthday she was just over a minute outside the world 5 mile record(40:09) for 74 yr olds with her finish time of 41:34. Jenny James was second with 88.5% and Carl Holden third with 83.46%. 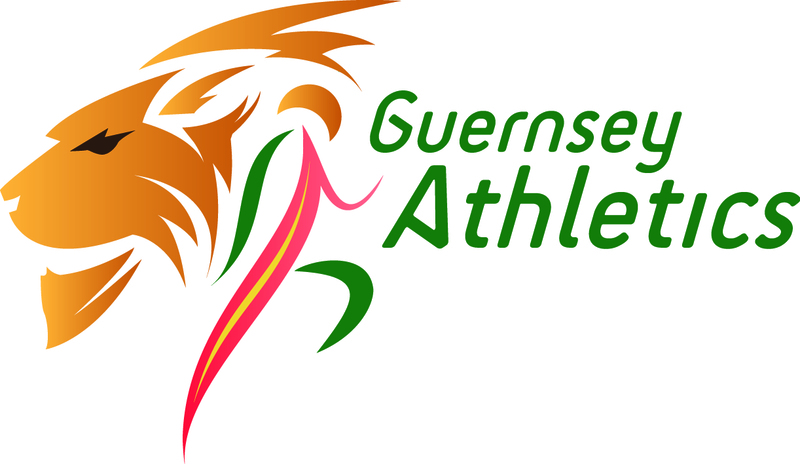 Holden, Priest and Gillman have confirmed their entry for next month’s Eastleigh 10k and are likely to be joined by a host of mainland based students in a strong looking Guernsey FNB Endurance team. In an incredibly high standard British Universities Cross Country Championships raced over 10k in surprisingly snow-free conditions at Exeter on Saturday, Richard Bartram showed his improving strength for 115th place as fellow Bath runner Dan Galpin was 160th and his brother Sammy Galpin (Sheffield) was 178th. In the 8km ‘B’ race George Mason (Loughborough) was 144th, just 5 places ahead of younger brother Ed (St. Mary’s).